With a push toward student-centered learning environments, group activities are becoming an everyday part of the classroom. The goal is to create a more engaging structure, transforming the teacher from a lecturer into a guide as students work together to explore problems and learn. The collaboration of students creates engagement, commitment, and better learning outcomes. 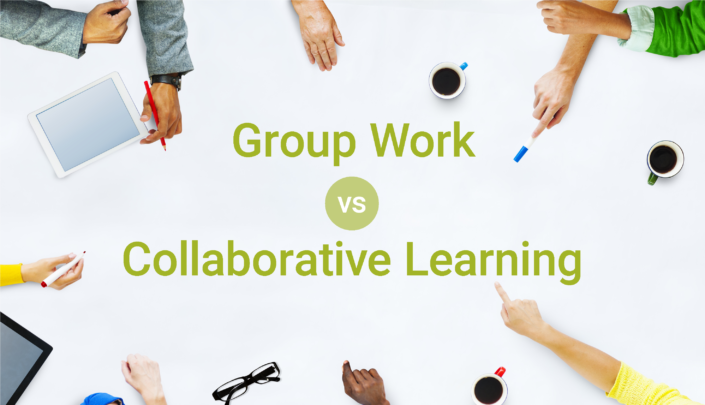 The problem is, having students work in groups does not necessarily mean they will work together. In group work, it is all too easy to focus only on the product instead of the process of getting there. Without the element of collaboration, students tend to delegate problems and share answers, narrowing overall learning and leaving interaction minimal. Some students may even coast on the work of other members without contributing at all. 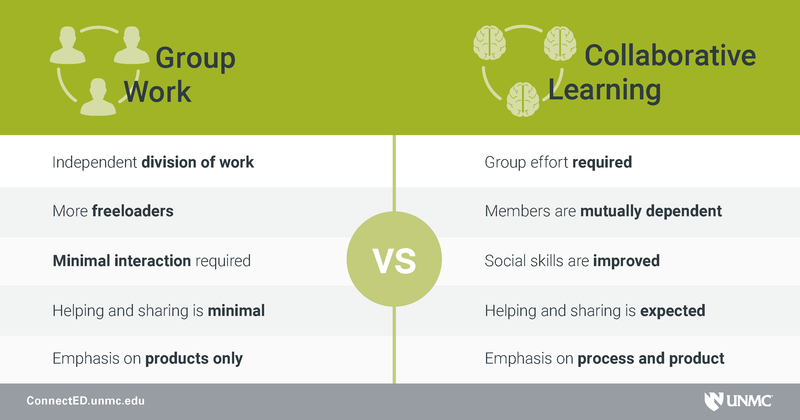 How can we fix this and shift from group work to actual collaboration? It begins with you, the educator. From the outset, grade members individually instead of as an entire group. Creating accountability will eliminate the possibility of “freeloaders” and also mean each student will need to look at the assignment as a whole instead of as chunks to delegate. This means you’ll need to format your activities so group outcomes depend mutually on its members. Creating dependence will ensure students are looking at processes instead of racing toward products, as each part will need to work together for the solution. Set your expectations for the class. Explain to students why you’re incorporating collaborative learning. Create/modify activities to include collaboration. Review results and fix notable issues in activities.